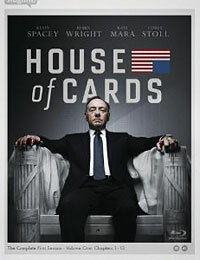 Based on the 1990 BBC miniseries of the same name, “House of Cards” is an enthralling and immensely addicting drama that boasts the kind of top-shelf quality we’ve come to expect from networks like HBO and AMC. In addition to being produced by David Fincher (who also directed the first two episodes), there’s not a single weak link in the cast. Kevin Spacey delivers his finest performance since “American Beauty” as the calculating politician, while Robin Wright is the perfect complement as his stone-cold marriage partner in crime. 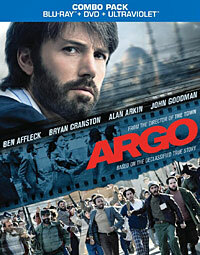 Corey Stoll also delivers some fine work as the congressman who gets ensnared in Underwood’s puppet strings. It shouldn’t come as much of a surprise that the series is partly based on Shakespeare’s “Macbeth” and “Richard III,” because there are so many political power plays in each episode that it has the Bard’s fingerprints all over it. Just like a good scotch, it’s amazing what a little time can do for a movie’s quality. After the disappointing “Quantum of Solace,” it was imperative that the next James Bond film didn’t follow suit, and although the MGM bankruptcy fiasco that put production indefinitely on hold was worrying, it turned out to be a blessing in disguise. Not only does the story feel more polished as a result, but it features one of the best Bond villains in the series’ history. Javier Bardem’s platinum-haired cyber-terrorist doesn’t appear until the midway mark, but the actor makes the most of his limited screen time, including a particularly memorable introduction. It’s hard to imagine Bardem would have even been interested in doing a Bond movie if it weren’t for Sam Mendes, and the same could probably be said for the rest of the cast as well. 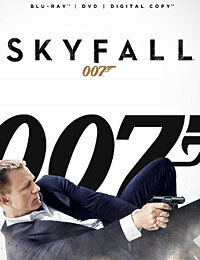 Though he was certainly an unconventional choice, having a director of Mendes’ caliber behind the camera is something the Broccolis should strive for more often, because it’s clear from the start that “Skyfall” is in a totally different class than past installments and Daniel Craig’s best Bond adventure to date. Though Quentin Tarantino doesn’t make very many films, when he does release a new one, it’s always met with the same kind of crazed excitement usually reserved for summer tentpoles, and that’s because his movies are practically big events themselves. After dabbling in just about every genre at this point in his career, it was only natural that he would eventually try his hand at making a Western, even if “Django Unchained” is more of a genre mash-up between a spaghetti western and a blaxploitation film, complete with all the musical cues, whip pans and other stylistic flourishes. The film also reveals itself to be somewhat of a buddy comedy, and this is when “Django Unchained” is at its best, delivering some of Tarantino’s funniest dialogue and anchored by yet another show-stopping performance from Christoph Waltz. But while “Django Unchained” is filled with plenty of classic Tarantino moments, it’s hard not to feel a little letdown, because it simply doesn’t live up to the high standards set by his previous films. Steven Spielberg has been trying to make a movie about Abraham Lincoln for so long that it seemed like it might never happen. But after years stuck in development, his passion project finally got made, albeit with a different actor in the title role. Though Daniel Day-Lewis is certainly no slouch, the prospect of Liam Neeson reteaming with his “Schindler’s List” director was a lot more exciting. 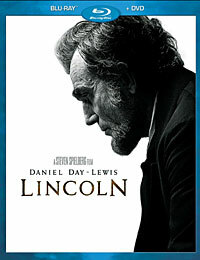 Nevertheless, Day-Lewis proves himself a more than adequate replacement as the 16th U.S. President, commanding the screen with a vigor that combats the film’s languid pace. His Lincoln is stubborn and stoic, but also witty when the mood permits, and though he was the only cast member to win an Oscar for his performance, the acting is top-notch all around, including fellow nominees Tommy Lee Jones and Sally Field, and James Spader as a slimy lobbyist. “Lincoln” does get a little too caught up in the intricacies of the political process at times, but it’s an engaging behind the scenes look at one of the country’s most historic moments. It was never going to be an easy job adapting “The Hobbit” for the big screen, and although that likely played a part in Peter Jackson’s initial decision to let another director take the reins, at the end of the day, it just wouldn’t have felt right with anyone else behind the camera. Not only does Jackson know the source material inside and out, but in keeping with the same tone and breathtaking visuals from the original trilogy, the movie feels like it’s part of a bigger story. 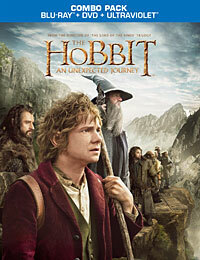 Granted, “An Unexpected Journey” only covers about a third of Tolkien’s novel, and as a result, there are times when the movie seems to be holding back in fear that it’s covering too much too soon. Though Martin Freeman is perfectly cast as the young Bilbo, and Ian McKellan effortlessly slides back into the role of Gandalf, the film’s real MVP is Andy Serkis, who delivers his best work as Gollum in perhaps the most memorable scene of all four movies. “An Unexpected Journey” still falls a bit short of “The Lord of the Rings” in the end, but it’s a delightfully fun trip back to Middle-earth whose biggest flaw is not knowing when enough is enough. 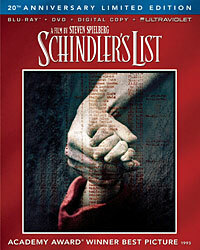 It’s hard to believe that it’s been 20 years since the release of Steven Spielberg’s “Schindler’s List,” but even after all that time, it remains one of the director’s finest films and arguably the best movie ever made about the Holocaust. Though the film is plagued by many of the typical Spielbergian problems, Janusz Kaminski’s cinematography is superb (it looks even better in high definition) and the acting is great all around. Liam Neeson and Ralph Fiennes’ Oscar nominations were both fully deserved, delivering some of the best work of their careers as the heroic Schindler and psychotic SS officer Amon Goeth, respectively, while Ben Kingsley’s absence from the Supporting Actor category feels unjust in hindsight. Still, the movie walked away with seven Academy Awards that year – including Best Picture, Best Director and Best Original Screenplay – so it’s not like it didn’t receive its fair share of recognition, and now that it’s finally on Blu-ray, a whole new generation of moviegoers can finally enjoy Spielberg’s excellent drama the way it should be seen. 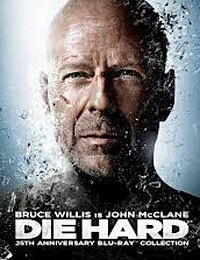 This History Channel miniseries was a huge hit last summer and should be a welcomed gift by most dads. 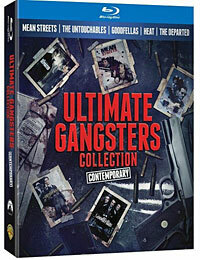 Kevin Costner stars as Anse “Devil” Hatfield and Bill Paxton stars as Randall McCoy in the epic and true tale of close friends turned enemies. The infamous back country feud that became an American legend begins when the two friends return home near the end of the Civil War. 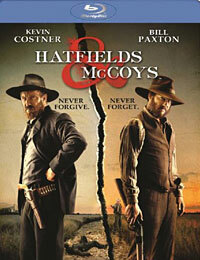 Hatfield is from West Virginia, while McCoy is just across the Tug River border in Kentucky. They soon experience increasing tensions, misunderstandings and resentments that then explode into all-out warfare between the families. As hostilities grow, friends, neighbors and outside forces join the fight, bringing the two states to the brink of another Civil War. 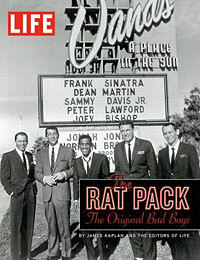 Like most guys, we have a great deal of respect and admiration for the Rat Pack. These guys knew how to enjoy themselves, and they always did it with class. Fran Sinatra, Dean Martin, Sammy Davis Jr., Joey Bishop and Peter Lawford were the guys that had all the fun, and everyone wanted to be around them. The played in old school Las Vegas when Vegas was Vegas. LIFE was there to document all of the fun and frolic with photographer John Dominis, and you can see many of his best images in this tribute to the Rat Pack. 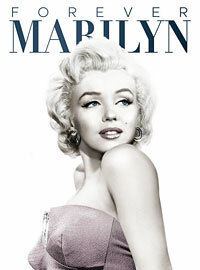 You’ll also see photos with other celebrities and iconic figures, including Shirley MacLaine, Jackie Gleason, Bing Crosby and President Kennedy along with some shady characters as well. You also get all of the great stories from this period that we all seem to long for as we swallow down our own Martinis today. For many dads this one is a no-brainer. 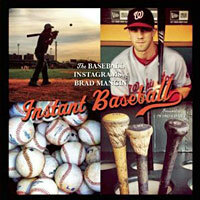 For dads who love baseball and great photography, this book can be a great option. It’s different, however, from all other baseball photo books, as this one is filled with photos taken with an Apple iPhone 4S using the Instagram app. Brad Mangin is a professional baseball photographer and he had all the access he needed to compile all of these beautiful photographs that give us a glimpse of the 2012 season from so many unique perspectives.